Should I Sell My Denver Home Before it’s Too Late? The U.S. economy has been growing faster over the last few years than any of us would have ever believed. The GDP is climbing at a steady 2-3 percent rate, right were economist say it should. There is really no inflation or deflation, for that matter and unemployment has stabilized at its natural rate of less than 4 percent. Economically it is good time to be an American. This is especially true if you have happen to be a homeowner in the Denver Metro Area. With its steady growth fueled by higher than average wages in the area’s tech industries and near nonexistent unemployment, Denver has been one of the hottest housing markets in the nation for several years running. Just over the last 10 years, the average sales price of a home, in the area has more than doubled. To say it is a seller’s market is like saying the Rockies are mighty big hills. With all this good news rolling around you might be wondering why any sane person would pick 2018 as the year to sell their Denver home. After all, the city is sitting on one of the nation’s longest running booms. There are several reasons why now is the time to take the money and run. The interest rates on home mortgages are now running very low. According to Nerdwallet, the average 30-year fixed-rate mortgage is running around 4.17 percent. But, this isn’t expected to last much longer. One sure sign of a healthy economy, like we are presently seeing, is that the Federal Reserve Bank will start raising interest rates. While there are no drastic changes expected, it doesn’t take but a shift of a few points to force many potential buyers out of the market. Fewer buyers will naturally lead to lower demand and falling prices. With the passing of the Tax Cuts and Jobs Act at the end of 2017 major changes in what property taxes and mortgage interest you will be allowed to deduct off your income taxes will undergo major changes. Beginning with the 2018 tax year, mortgage interest will only be allowed on the first $750,000 of your debt. Perhaps more significant to many residents of Metro Denver is that the Property Tax Deduction will now be capped at $10,000. The possible effects of these changes are twofold. If you live in an area with high city and county property taxes you will very likely feel the crunch when paying your income tax bill in 2019. This makes the idea of collecting the capital gain from your home and reinvesting it in an area with lower tax rates an attractive idea. The second effect is the flip side of the above. The changes in the tax code will make property in high tax areas less attractive to investors and home buyers alike. Again slowing the market and lowering demand. The difference between a huge profit from your home and a loss is all in the timing and having the right realtor on your side. Denver has been sitting on a bubble for quite some time now and prices are at their peak. Changes are coming though and they are bound to have an impact on the market. If you have given any thought to selling your Metro Denver property, before they arrive is the time to move. For more information contact Paul at ‘The Edge Group’. With 20+ years of real estate experience in the Denver area, he is the local expert on property values and market trends you can turn to with confidence. Call 303-886-5991 or email: paul@theedgegroup.net today. Littleton, Colorado has a relaxed atmosphere and tons of fun events and attractions, making it an ideal place to put down roots. Lots of people are moving in to call Littleton home and finding that it’s a great place to live. So, let’s take a look at the ten best things about this local gem. Foodies love Littleton. Restaurants flourish here, especially smaller, locally-owned joints with their own take on their distinctive cuisine. Harley’s a Hot Dog Revolution is a quaint mom and pop eatery with delicious and inventive franks. The Holy Guacamole Dog brings out the fire with a chorizo hot dog topped off with homemade guacamole, lettuce and bits of tortilla chips. Toast is a cozy spot with exceptional breakfasts worthy of royalty. The deliciousness is embodied in items like the smoked salmon benedict, banana walnut french toast, and honey fried chicken & pancakes. With brews locally concocted, bringing distinctive flavors that are only available in Littleton, beer lovers find a lot to enjoy in the city’s neighborhood breweries. At Locavore Beer Works the specialty is handcrafted beers. They have 20 rotating taps with everything from imperial stouts to India pale ales. Pets are welcome, and the ambiance is friendly and comfortable. Living the Dream Brewing produces an eclectic mix of beers, like their Cherry McGuire fruit beer, Festivus Fireside barleywine, and Plaid Pants Irish dry stout. They also offer gluten reduced beer options. Colorado is known for its connection with nature, and the trails making their way through Littleton provide a bit of the outdoors in the city, or they can transport you to the close-in other local cities and countrysides. High Line Canal biking trail connects Littleton to areas to the northeast as far as Aurora. The trail stretching through the Littleton area draws bikers, hikers, and horse riders. Breathtakingly beautiful on some stretches, it’s an excellent ramble whether you’re just ambling along on foot or pushing your limits on your bike. The D and C light rail lines cut through Littleton at Littleton Station to transport riders to the heart of Denver or any of its suburbs. Littleton is far enough into the rural countryside for you to enjoy nature on a short trip out of town, or you can use the light rail to get into the gridlock of Denver. It’s the best of all worlds, depending on your plan for the day. Denver’s light rail transports soon-to-be-airborne commuters from downtown Denver to the runway at the Denver International Airport with a 45-minute ride. Colorado is known for its mountainous terrain. Littleton has beautiful panoramic views of the Rocky Mountains to the west. High altitude vacation escapes are nestled throughout the mountains to the west. Whether they’re staying in warm cabins among the trees, or in ski lodge accommodations alongside the ski slopes, the mountains are the second home of many Colorado residents. Littleton residents refresh themselves in the mountains. With average highs in the 80’s in the summer and comfortable temperatures in the spring and fall, Littleton’s climate is perfect for outdoor enjoyment in the city or the mountains. In Summer residents hit the streets and lounge in outdoor seating at local restaurants and breweries. Wintertime makes for great sledding, and fun in the snow in the Littleton area. Littleton is just a short drive to some the best skiing on the planet, places like Breckenridge, Vail, Winter Park and many more. Every season has something to offer in the high Rockies. Hudson Gardens is an outdoor venue showcasing concerts and events throughout the year. The Summer Concert Series goes throughout the Summer with concerts held on Sunday evenings. Bands usually center around 70’s and 80’s classic rock. Past performers have included the B-52’s, Joan Jett, Gladys Knight, Creedence Clearwater Revisited and Chris Isaak. Littleton abounds with green areas, with 1,500 acres of parks and natural areas within city limits. Chatfield State Park, just southwest of Littleton, includes a campground and lake complete with a marina for boating enthusiasts. The South Platte river meanders through Littleton, and it has been a significant focus of parks development in the city. South Platte Park and the Mary Carter Greenway are both excellent green areas abounding with plant life, trails, and nature. Western Welcome Week has fun festivities to celebrate the community and city of Littleton. It begins with a concert and fireworks. One of the mid-festival highlights is the Stick Horse Stampede, a race for the kids. The celebration concludes with the Grand Parade, a succession of marchers like school bands, pipe bands, tractors, floats and equestrians. The Main Street Block Party is a family event that fires off with two fireworks shows, live entertainment, street performances and great food. Admission is free. The ambiance of Littleton’s downtown area hearkens to simpler times with buildings constructed at the turn of the century and businesses owned by locals who value Littleton’s old-time charm and character. Also, farms that have been in operation since 1860 are near the city limits. 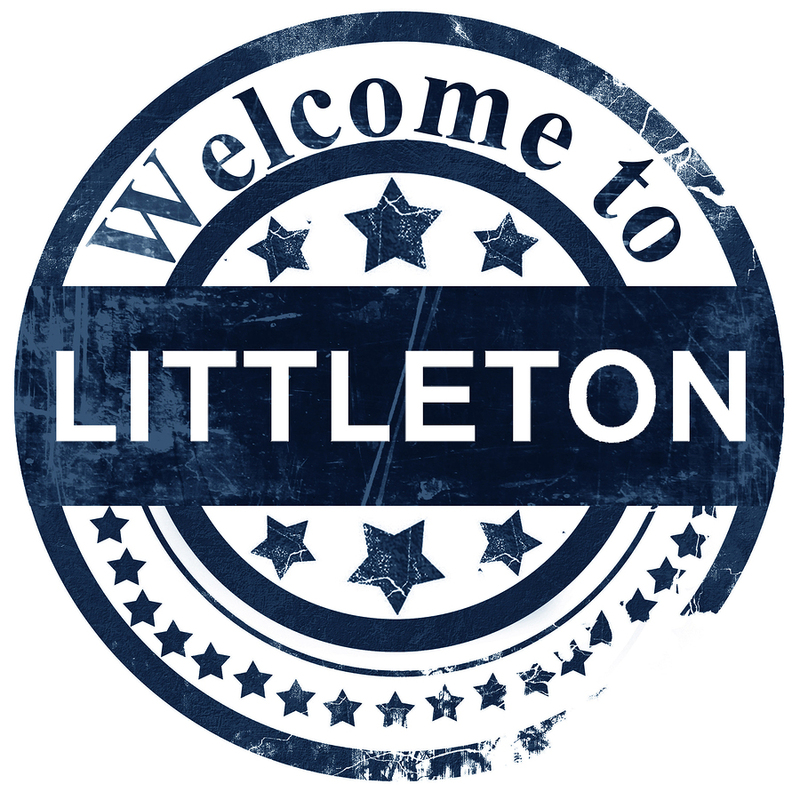 The Historic Downtown Littleton Merchants Association provides an online interactive map with old-time photos and information about the history of Littleton, making for a trip back in time for visitors. With 20+ years of experience in real estate, I am an expert on local property values and neighborhoods. If you are considering buying or selling property in Littleton, give me a call at 303-886-5991 or email at paul@theedgegroup.net for the most professional service in the area. It is certainly a seller’s market right now, and bidding wars are more common than not. How can you help your offer stand out from the rest? Consider writing a letter. Writing a letter is the easiest thing a buyer can do to stand out from other buyers. Think about it: When was the last time you wrote a letter? With email, Facebook status updates, tweets, texts, and all those other places to leave a comment in the electronic universe, nobody sends or receives letters anymore. The fact that you took the time to include something personal in your offer will at least get it a closer look from the seller. Your letter should include something personal. Appeal to the seller’s humanity. Have children? Tell the seller how much your kids would love playing in the backyard, or how the finished basement would make the perfect playroom. Let them know your dog has never had a yard complete with his own doggy door, and how great it would be. Compliment the crown molding. Wax poetic about the wood floors. However, you have to be honest. Nobody likes a canned or empty compliment. Consider thanking the current owners for making time for their house to be available for a showing. Keep in mind the best letter won’t make up for a low offer in today’s market. If the house in question is the one for you, make sure to put your best offer on the table. A letter to go with your strong offer will help you stand out in the crowd. If you are ready to purchase a home of your very own, give us a call. We will help you find the perfect house to call home.